Shucked to order & served with lemon and cocktail sauce. 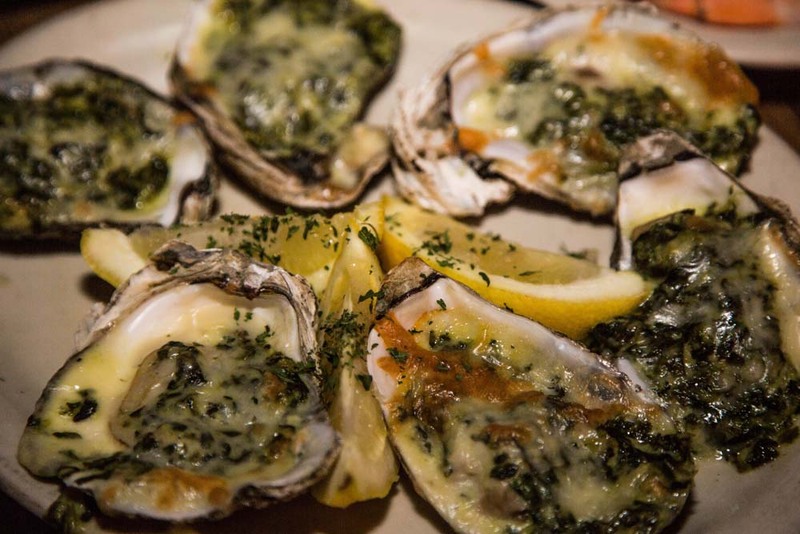 Freshly shucked oysters with spinach, bacon, garlic and a blend of three cheeses baked to perfection. Peeled and boiled in our own mix of spices & seasoning, served with lemon and cocktail sauce. Tempura-battered with Cajun pepper sauce. 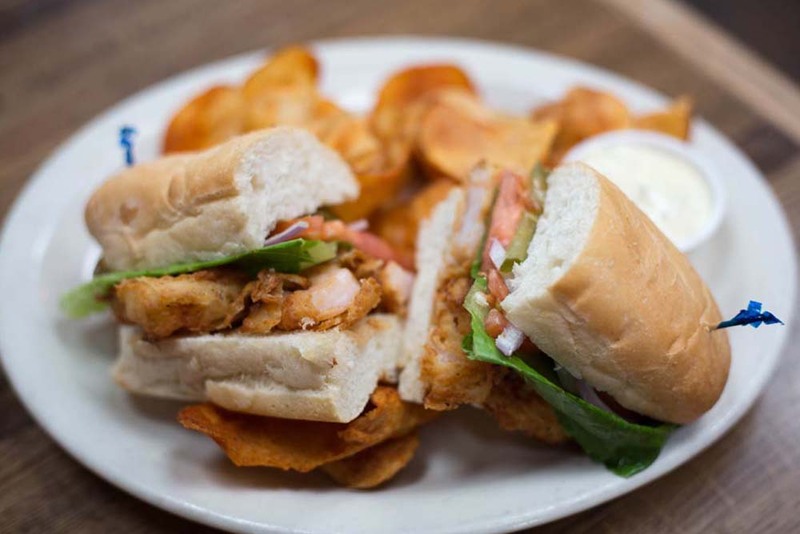 Made from scratch — hand pattied, breaded and fried, served with Cajun aioli. Wings, deep fried and tossed in our own special hot sauce. 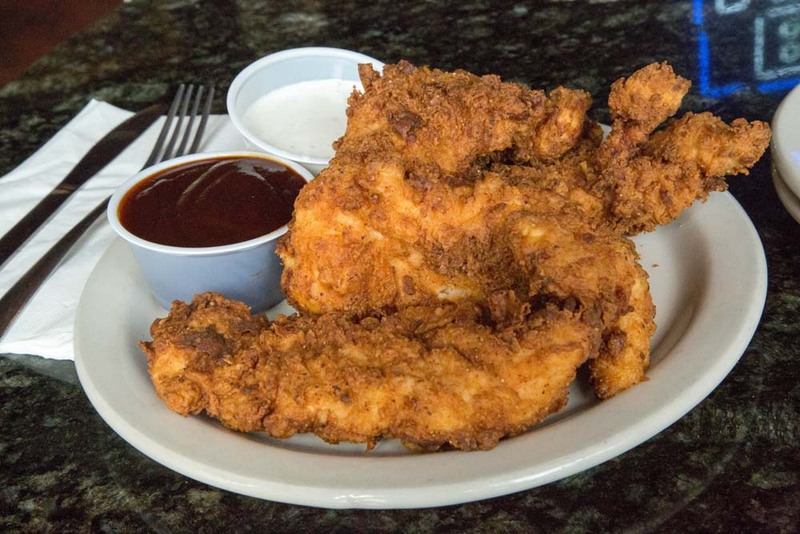 Hand dipped, breaded and deep fried, served with ranch or honey mustard dressing. Fries smothered with melted cheddar cheese. Served with our homemade marinara. Twelve perfectly toasted ravioli, sprinkled with parmesan, served with our homemade marinara sauce. 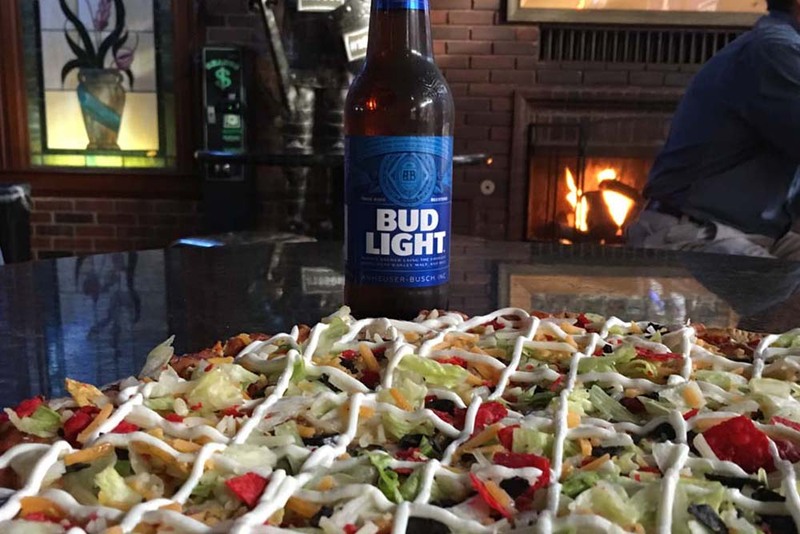 Topped with melted cheese, black olives, tomatoes, jalapeños, served with sour cream and our homemade salsa. 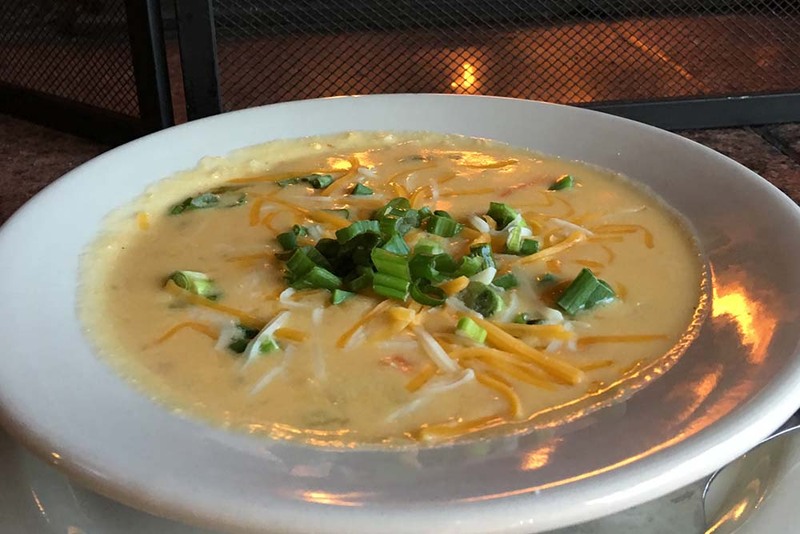 Topped with melted shredded monterey jack & cheddar cheeses, green onions and bacon, served with sour cream. Baked mozzarella cheese-stuffed breadsticks brushed with butter and parmesan. 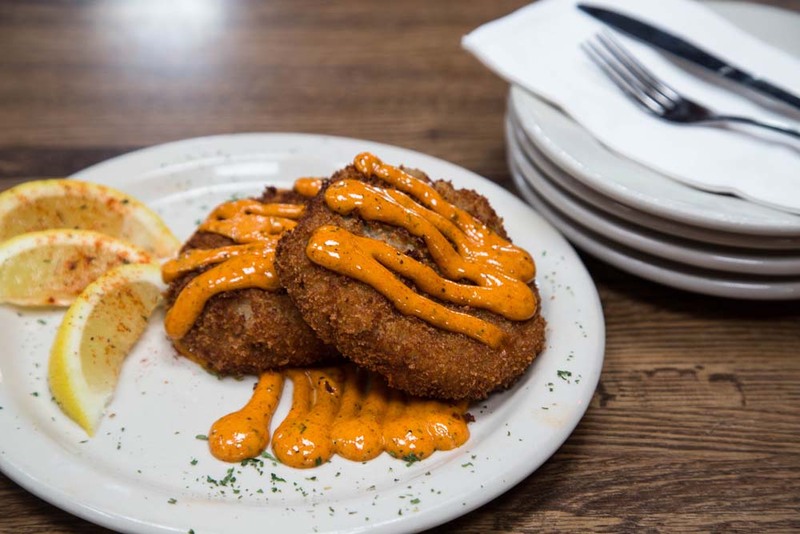 Tossed in our blackening spice and served with our house-made dill dip. 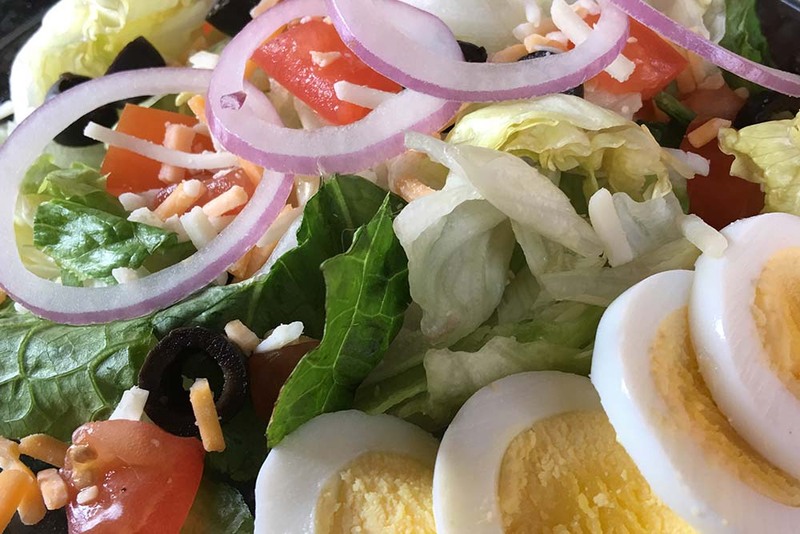 Fresh lettuce mix, red onions, black olives, tomatoes, monterey jack, cheddar and hard boiled egg. Fresh lettuce mix with ham, turkey, monterey jack, cheddar, black olives, tomatoes, egg, red onions and pepperoncini. Fresh lettuce mix with shrimp, surimi crab, red onions, egg, black olives, tomatoes, monterey jack, cheddar and pepperoncini. Fresh romaine lettuce, red onions, croutons and parmesan cheese, tossed with Caesar dressing. 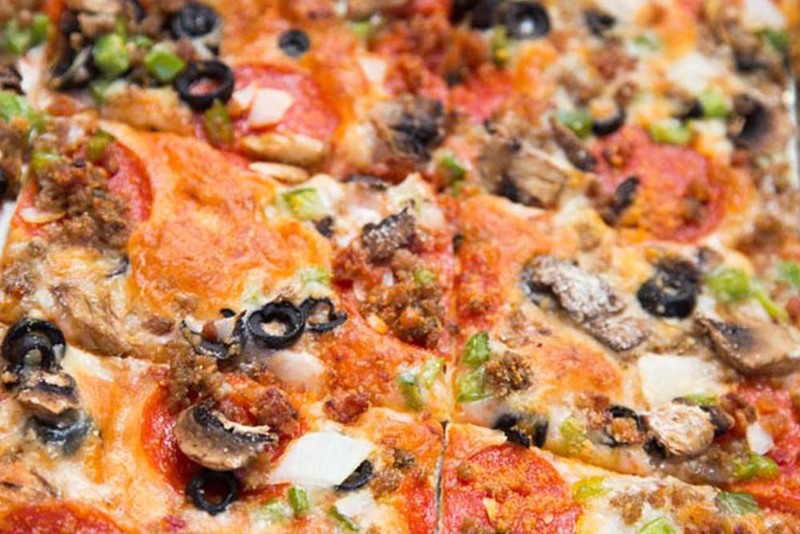 Made to order, with St. Louis style cheese and premium pizza sauce. 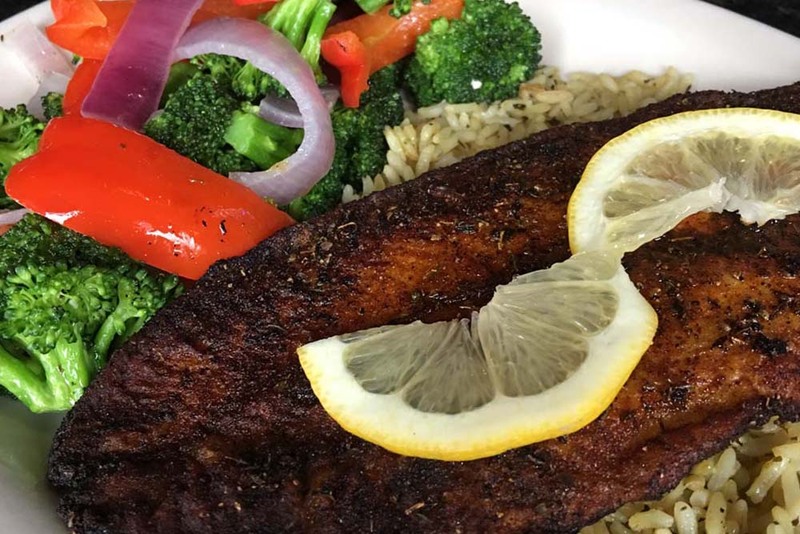 Grilled, Blackened or Fried. We’ll make it any way you want it. Served on a fresh kaiser roll. Fried chicken tenderloin tossed in Buffalo sauce, then baked with provel and bleu cheese. 1/2 lb. fresh ground beef, grilled to order. 1/2 lb. 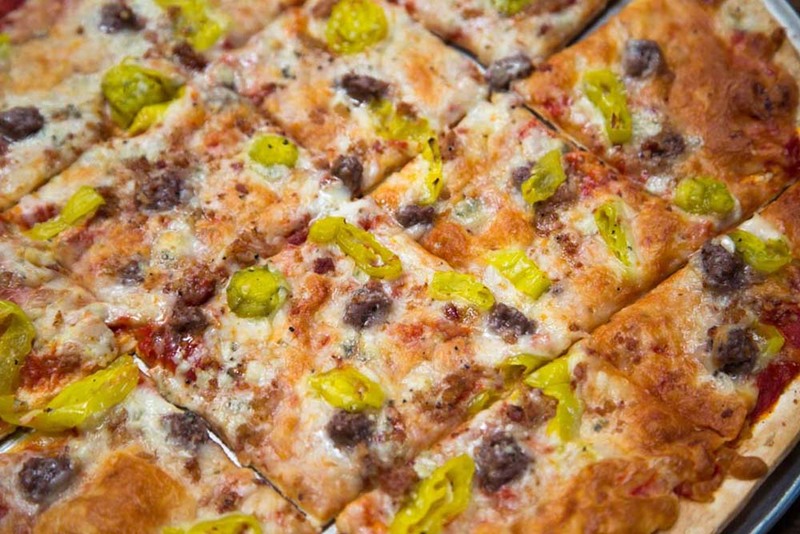 fresh ground beef, grilled to order, topped with Swiss cheese, bleu cheese, bacon, and banana peppers. Two 4 oz. 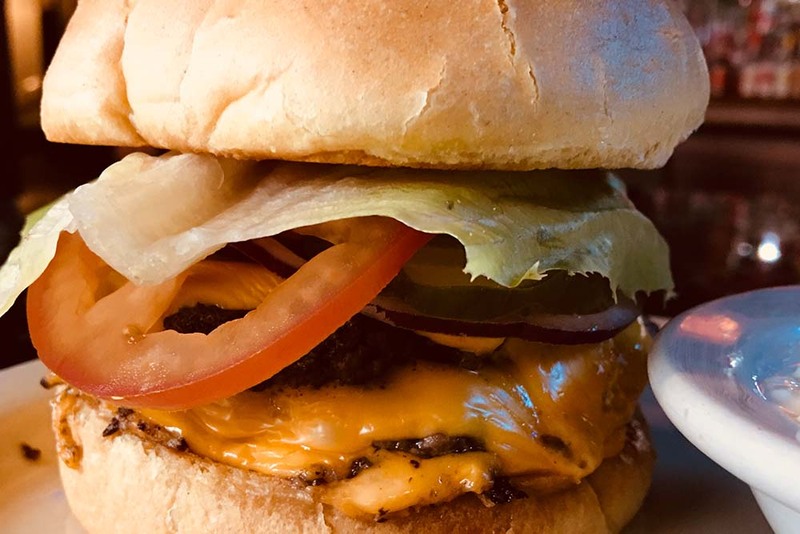 ground beef patties, grilled to order, with two slices of American cheese, served on a toasted bun. 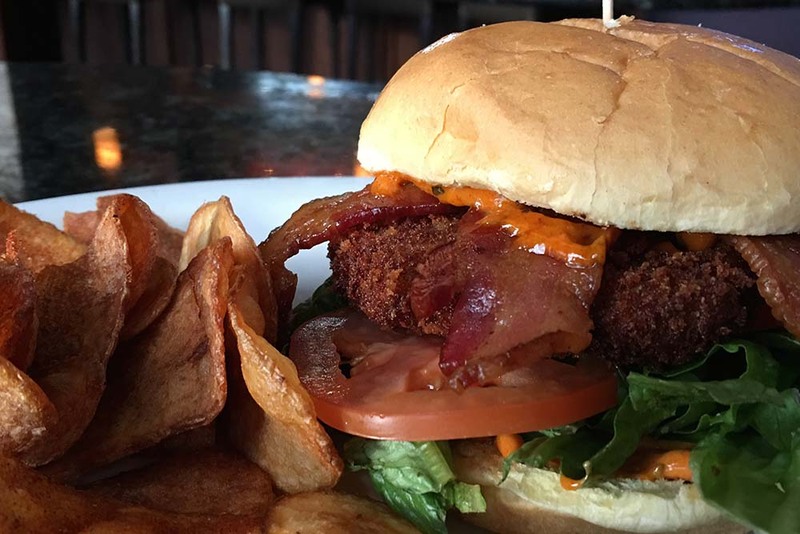 Crab cake smothered in aioli, topped with bacon, lettuce and tomato on a fresh kaiser roll. 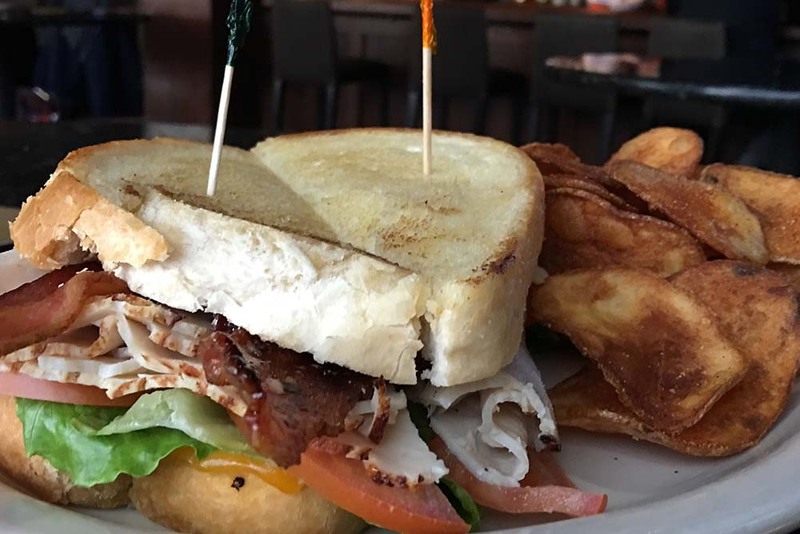 Fresh sliced turkey, served on toasted sourdough bread with two slices of cheddar, bacon, lettuce and tomato. 6 oz. of ham with slices of American cheese on sourdough. Fresh sliced roast beef, with au jus. Baked provel cheese smothered French bread with garlic, served with au jus. Tomato basil flour tortillas with choice of side. 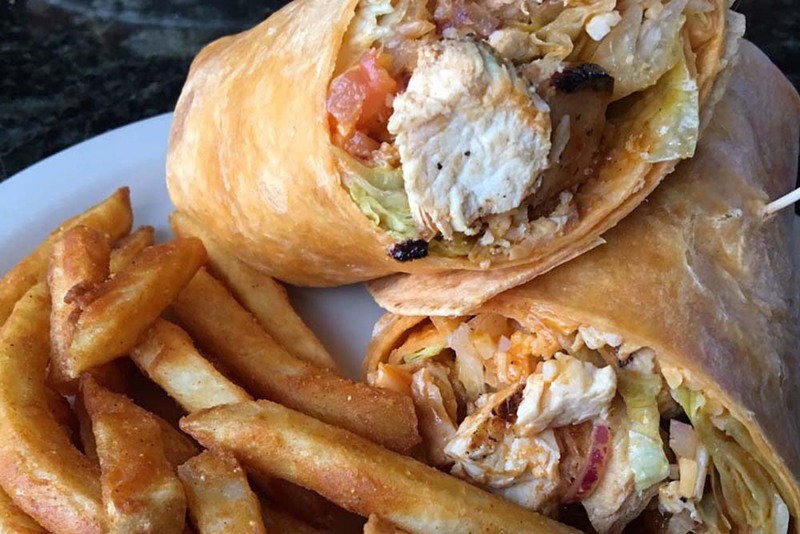 Grilled chicken tossed in our hot sauce, surrounded by lettuce, tomatoes, red onions, pickles and shredded cheese. 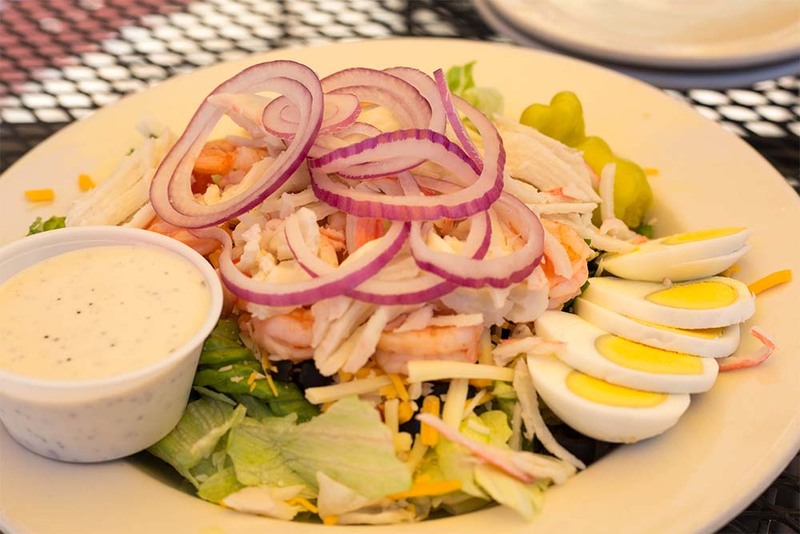 Shrimp and surimi tossed in our seafood dressing surrounded by lettuce, tomatoes, red onions, black olives and shredded cheese. Served on French bread with choice of side. Hand breaded and fried shrimp. Hand breaded and fried catfish fillet. Grilled chicken topped with melted pepperjack cheese, bacon, and Cajun aioli sauce. 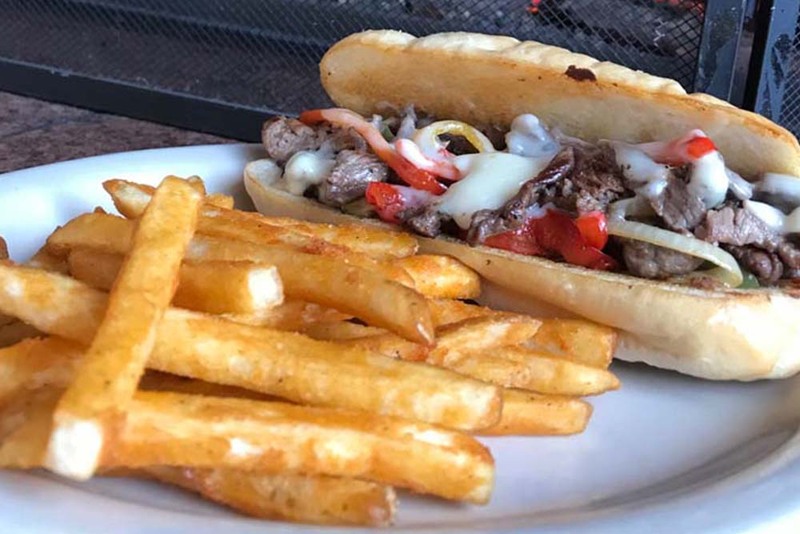 House-roasted beef, topped with our homestyle French dressing, our Trinity relish and provel cheese, then oven baked. Beer-battered white fish fillets, with french fries or other side choice. Served New Orleans-style with andouille sausage over herb rice. Served with jalapeño cornbread. Cajun style with shrimp, surimi crab, andouille sausage and vegetables, simmered in our own blend of spices. Served with jalapeño cornbread. Creole style with andouille sausage and chicken. Served with jalapeño cornbread. 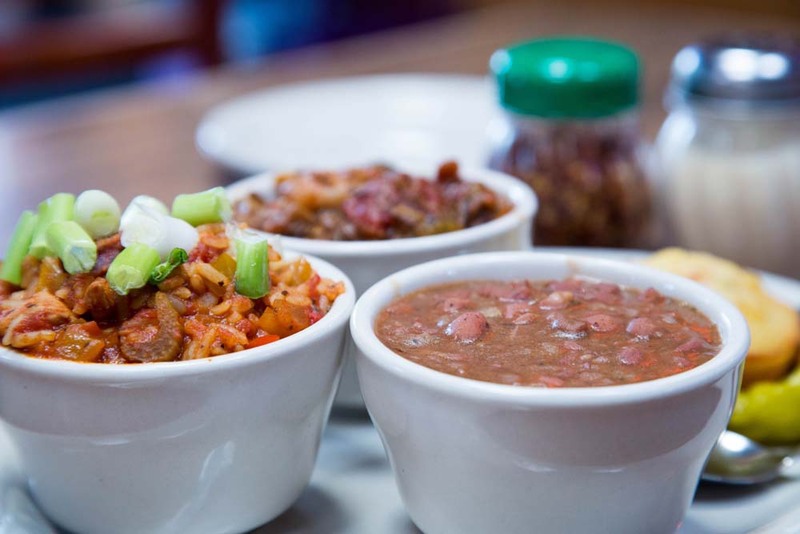 A cup of red beans & rice, seafood gumbo, and jambalaya. Served with jalapeño cornbread. With steamed broccoli. Also available blackened. Served on a bed of herbed rice with steamed mixed vegetables. 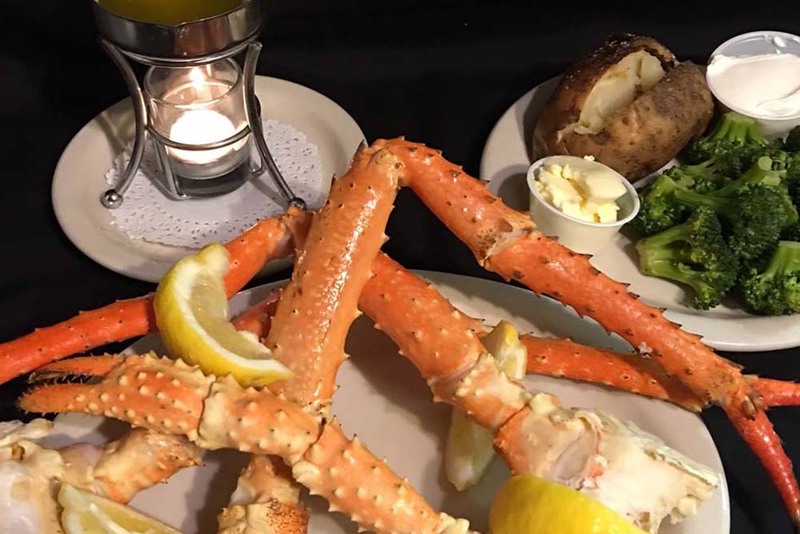 Complimented with drawn butter and lemon, served with choice of soup or salad and two sides. 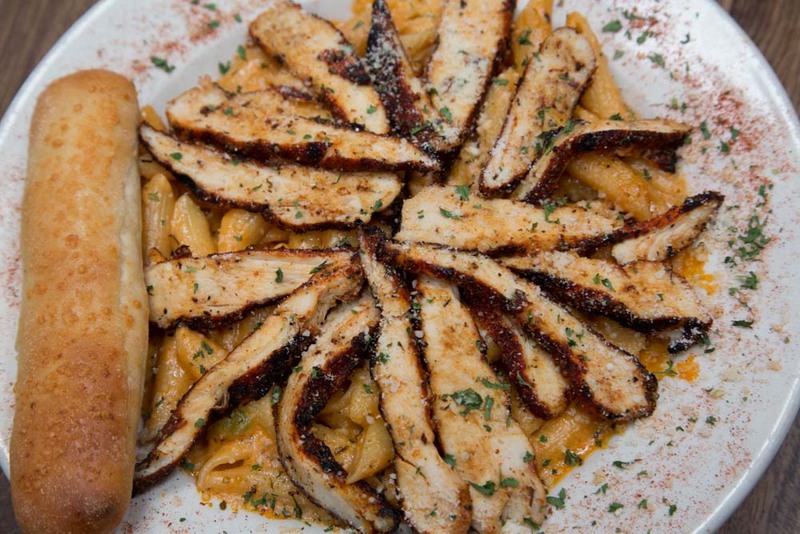 Sautéed peppers, onions, garlic tossed in a Cajun cream sauce with Cajun grilled chicken breast. Served with baked bosco stick. Penne pasta noodles in a rich, creamy alfredo sauce, with broccoli, mushrooms, and a touch of garlic. Served with baked bosco stick. Sautéed onions and garlic in a white wine spinach cream sauce with grilled chicken breast. Served with baked bosco stick. Sautéed broccoli and garlic, tossed in a tomato and cream sauce with surimi crab and shrimp. Served with baked bosco stick. 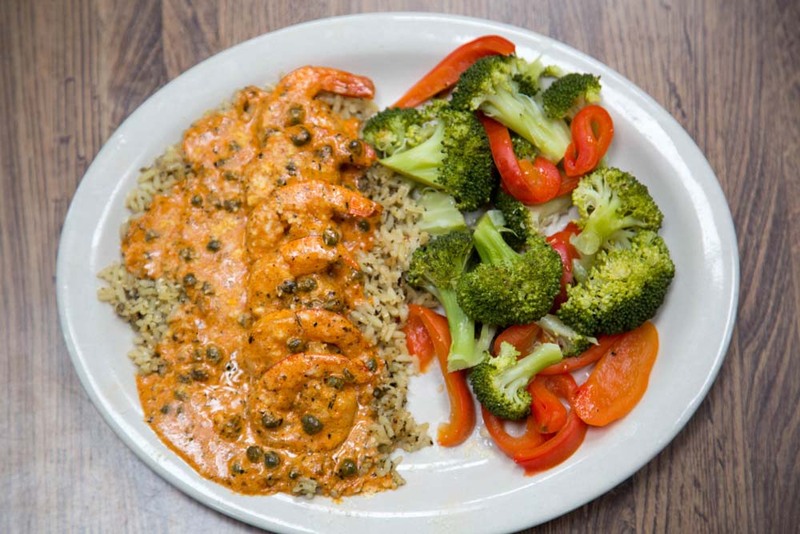 Six jumbo shrimp sautéed in Aguila Tequila lemon butter caper sauce, tossed in Cajun cream sauce, served over a bed of rice. Served with steamed mixed vegetables. Catfish nuggets and shrimp, both fried southern-style, served with cole slaw and another choice of side. Topped with a butter sauce, capers and tomatoes, served with steamed mixed vegetables. and a choice of soup or salad. Also available blackened. 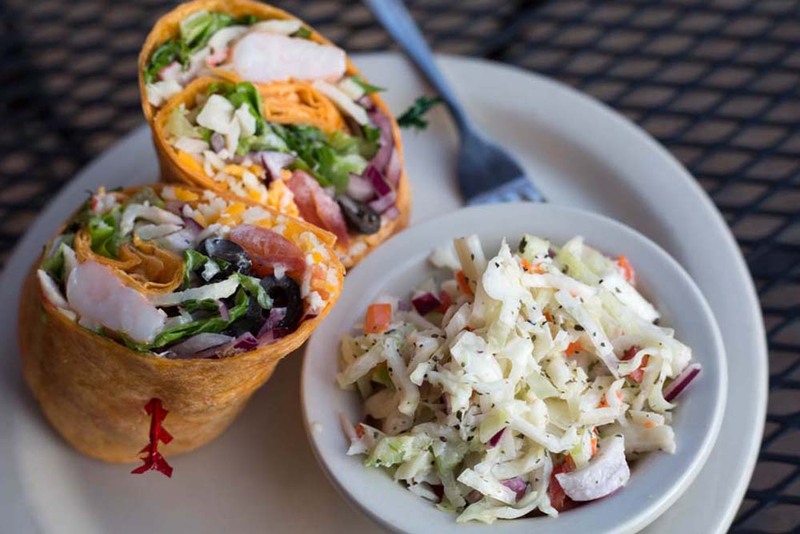 Grilled to perfection, served with choice of two sides & soup or salad. Kindly give minimum 24 hour notice when ordering.